Trust is the cornerstone of any positive relationship. This assertion is especially true of an attorney-client relationship. Often times, legal issues carry with them very strong emotions, and a client needs someone that they can trust to resolve such issues in a suitable manner while being respectful and responsive to their emotional state. Moreover, the attorney-client relationship is special in that sensitive matter is often disclosed by a client to an attorney. Attorneys are required by a code of ethics to keep such material confidential. Finally, a client needs to have trust that their attorney is driven by their client's best interest and is capable of effectively advocating for those interests. The McGrath Law Firm is dedicated to gaining and keeping your trust. We understand the importance of trust, so we make sure to explain the law, legal process, and strategy every step of the way. ​ Value is seemingly harder and harder to come by in the modern day. The legal profession is no exception to this observation. Simply put, some firms charge too much money for their services. The McGrath Law Firm understands that not everyone in need of legal services has thousands of extra dollars to shell out. Therefore, we promise to keep costs as low as possible, and work with you and your financial situation. ​To be able to properly represent a client's interest it is imperative to completely understand what those interests are, all pertinent background information, and future ambitions. In a similar vein, the principal role of an attorney is to communicate the relevant law relating to a client's issue, the potential actions that could be taken to remedy the client's issue, and the likely consequences of those actions. At the McGrath Law Firm we exhaust all efforts to be as accessible and responsive as possible. We can be reached at any time, day or night. Also, as a cardinal rule, every correspondence and phone call will be returned or addressed within twelve hours. Diligence is a necessary virtue, characteristic of all good attorneys. Organization, preparedness, and thoroughness are critical to being successful in a legal proceeding or drafting a legal document that achieves its intended goal and has the ability to stand-up-to legal challenges. 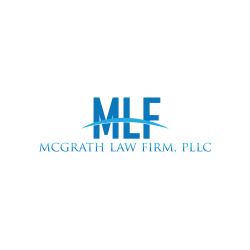 The McGrath Law Firm will vigorously advocate for your interest. We sincerely want, more than anything, to have our clients satisfied with our efforts, that is why we make sure that our work is performed to the highest possible standards.